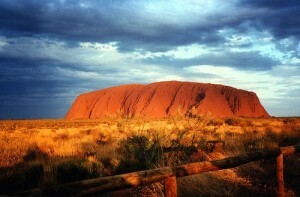 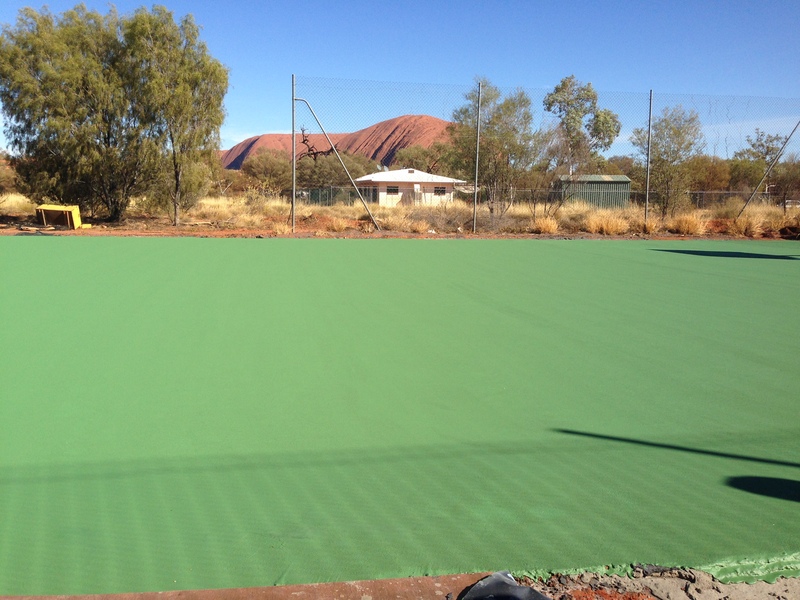 The Mutitjulu Community can now enjoy multi-sports with the stunning view of Ayres Rock in the background. 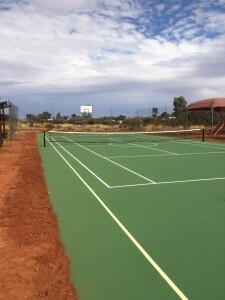 500m2 of dual coloured Laykold surface has catapulted the extremely weathered bare asphalt tennis court at Uluru into the 21st Century. Thanks to NT Sports & Playground Surfacing, who installed the Mutitjulu Community with their new multi-sports court with line marking and equipment for basketball and tennis. 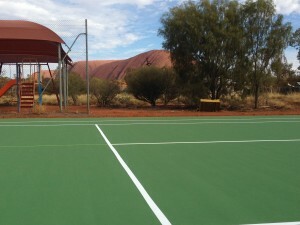 The original court was initially ground back and 2 coats of Laykold base coat was applied to fill the deep voids and cracks in the old, extremely weathered court. 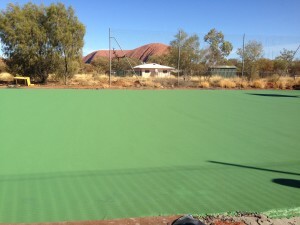 A layer of asphalt transformer was applied, followed by 2 additional coats of Laykold top coat. Laykold’s hard wearing qualities, bright colours and reduced slip texture make it the perfect choice for the extreme environment of the Northern Territory outback.